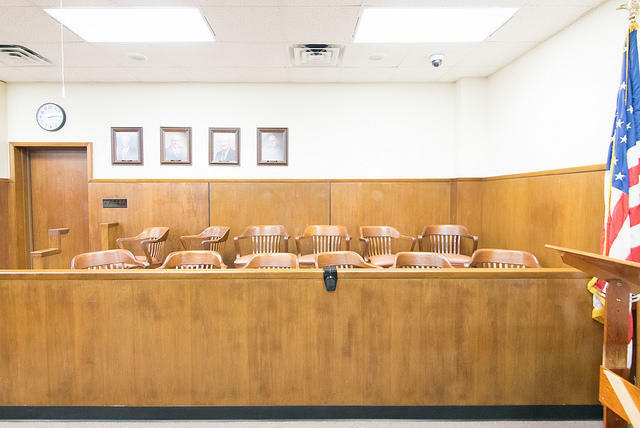 Louisiana is one of only two states in the country where a 12-person jury doesn’t have to reach a unanimous decision in order to convict someone of a felony. "In the state of Louisiana and the state of Oregon, if 10 of those 12 jurors convict you, you are in fact guilty," explains Sen. JP Morrell (D-New Orleans). Sen. Morrell wants to change that. He introduced a bill that would let voters decide whether or not the state should require unanimous verdicts for felony cases. Unanimous verdicts use to be the law in Louisiana. Ed Tarpley, former District Attorney in Grant Parish, says during a time of racial tension following the Civil War and Reconstruction, the Louisiana Legislature decided to change that "to basically insure that the white ruling class, if you will, for want of a better term, was able to exercise control over the newly freed slaves." Sen. Morrell believes the constitutionality of non-unanimous juries is questionable. But Pete Adams, Executive Director of the Louisiana District Attorney’s Association, disagrees. He points to a decision last summer, when the United States Supreme Court declined to hear a challenge to the Louisiana statute. Adams' group opposes the change. "Getting 80 percent of the people in any group — 10 out of 12 — to agree on any topic is a phenomenal task," he says. Morrell says that’s the point. "If you cannot get 12 jurors to agree to deprive someone of their liberty — that should be the burden. That should be the law," he explains. The bill passed committee Tuesday. If it clears the full Legislature, it would go to voters in November.